Trevor Norris began his Federal career in 1999 as a Presidential Management Intern with the Department of the Navy. His first assignment was in executive resources and leadership development, where he helped manage Navy’s Senior Executive Service (SES) personnel program. Over the course of ten years on the Secretary of the Navy’s staff, he took on increasingly complex roles in a wide array of functions including human resources, budget formulation, total force manpower, and special programs. 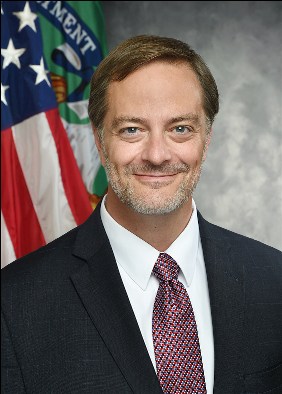 Trevor’s initial appointment to the SES came in 2009, when he accepted the position of Deputy Director of Human Resources at the Department of Justice. In this role, he was a leader in strategic human capital management, maintained oversight and accountability for the Department’s delegated personnel authorities, managed DOJ’s $50 million HR IT investment portfolio, and was a champion for inclusive diversity. After almost eight years at Justice, he made the move to the Treasury Department, where he serves as Associate Chief Human Capital Officer for Executive and Human Capital Services. He is currently Treasury’s Acting Chief Human Capital Officer. A native of southeast Arkansas, Trevor holds degrees from Washington and Lee University and the University of Arkansas at Little Rock.